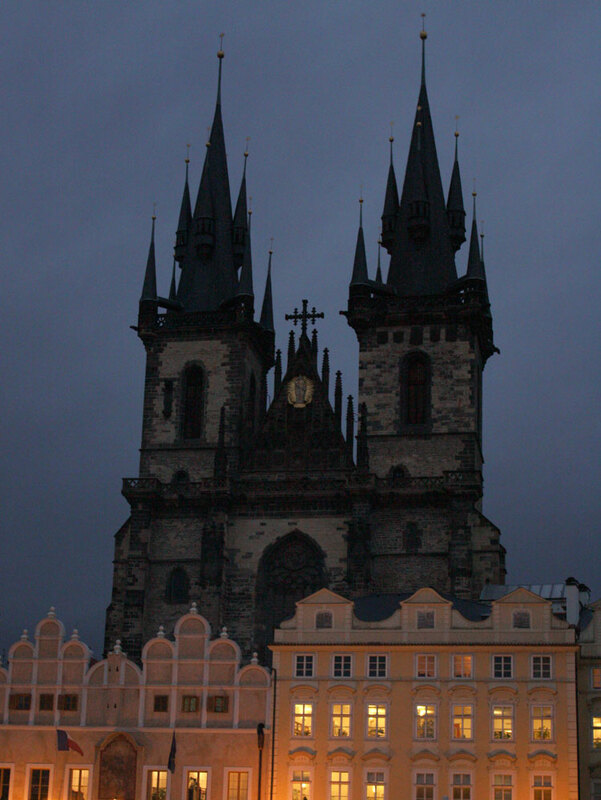 Prague is one of the places I have wanted to go since I was quite young. I actually first became aware it existed from Mandy Moore movie. When Meg and I took our grand tour of Europe Prague, or any Eastern European country, didn't make the cut because it takes a really long time to get there via train. I finally had the chance to go while visiting Rob in London last November, we had decided it would be cheaper to go and stay in a different country rather than spend the whole week in London. Prague turned out to be more and less than I expected at the same time. It definitely didn't meet my Mandy Moore movie expectations, but it turned out to be a pretty magical city. 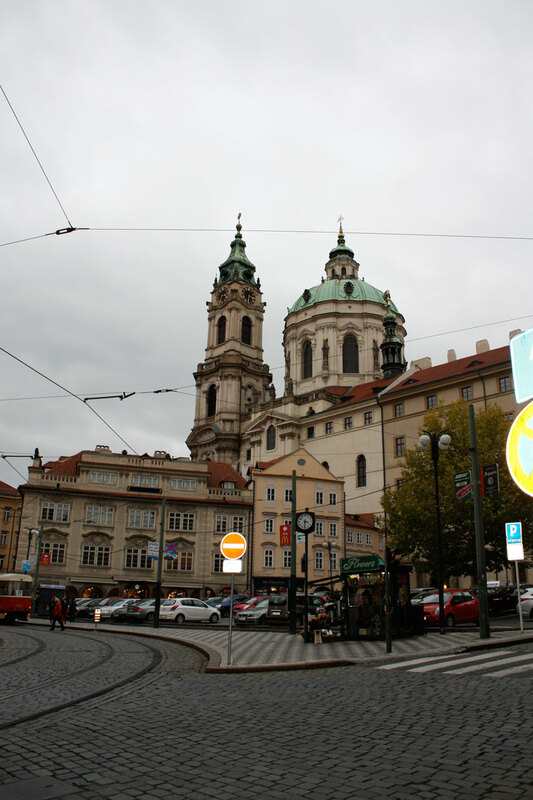 I think I was expecting Prague to resemble Disneyland's "It's a Small World" ride, with cute little Bavarian buildings. When we got there though, it was slightly more cold than I expected both literally and figuratively. Let me start at the beginning of this adventure. Rob purchased Groupon from London Groupon for flight and hotel, which ended up being about $200 a person (Groupon vacations to Europe are much cheaper when your actually in/from Europe.) We upgraded flights and hotel for a few British Pounds more. Our flight turned out to be on a small economy airline called Whiz Air, based out of Hungary. This was my first experience with the airlines that cut costs. Similar airlines are EasyJet and Ryan Air. If you Google them, you can find tons of horror stories and ridiculous up-charges. Our experience was not the exception! First we had to go from London to Luton to a smaller airport. We decided to stay the night in Luton and go to the airport in the morning, because it was less expensive than a night in London. We arrived to Luton via train and it was really dark (not really late though) because in November it starts getting dark around 4 pm over there! It was probably just our tourist anxieties having seen too many movies, but walking from the train station to the hotel was terrifying. Luton felt deserted expect the few night owls. When we took a taxi to the airport in the morning the whole process was completely strange to me. We ended up paying close to $100 to take small suitcases because that's how these airlines make money...not on the airfare but on all the fees that catch people off guard. It was annoying and even worse- the seats were so small Robs legs didn't fit! To top matters off when we arrived we realized we forgot to learn some basic words in Czech and we had no idea where to go. We arrived stressed and tired and couldn't figure out the public transport so we took a man up on his offer to take us to our hotel for 20 Czech koruna. Sketchy feeling aside we make it to Hotel Andel, close to the Andel Station of the metro. Our hotel was excellent, completely modern and well cared for. We had wifi and there was a nice affordable restaurant inside. Andel is located in a more suburban area of the city, and there were more business folk than tourists but it was only a few stops from the old town center, which is what everyone goes to Prague to see. Once you figure out how to get tickets, the metro is fairly easy to use, a much more basic version of the London Underground. Once you get off at the Historic Center you must navigate down a side street to actually reach the destination. 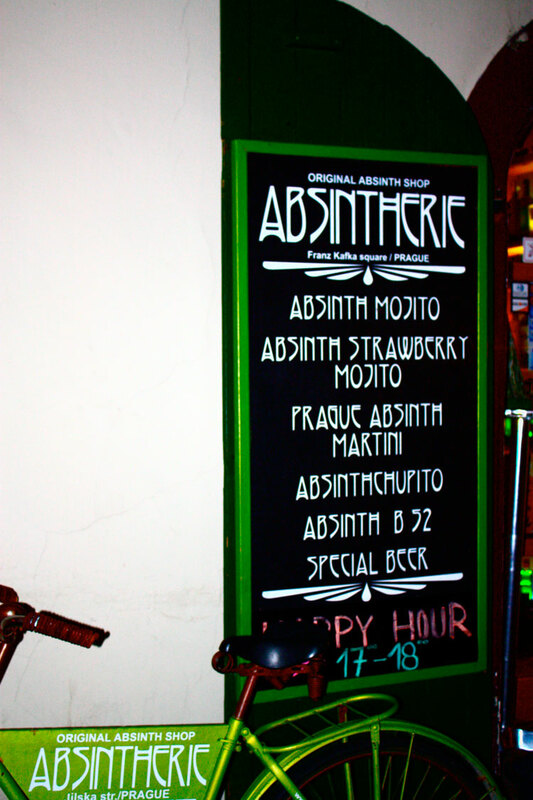 On the way there is an Absinthe bar. Coffee, ice cream, shots, you name it and they make it...with Absinthe. That's when you will realize one of the big draws to the city- it is very laissez-faire about drugs and alcohol. It's a European party city! At night there are people everywhere trying to sell drugs and it's not discrete. Then the historic center opens up and it is like Disney! At the back of the square is a church that looks like it inspired Walt Disney. At night the center lights up and it's magical. Plus there are plenty of tourist (English speaking) friendly restaurants and shops. It became our favorite spot to hang out in our down time. 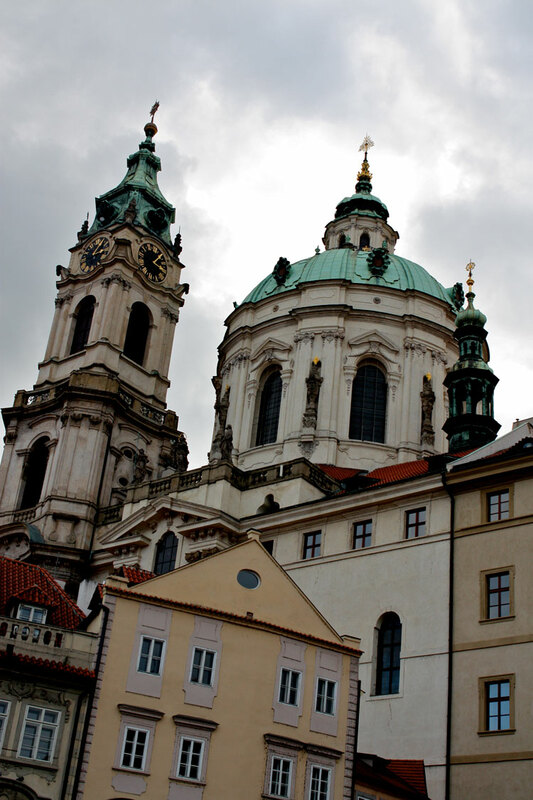 The architectural style in Prague is gorgeous and full of black spires and brass domes covered in green patina. 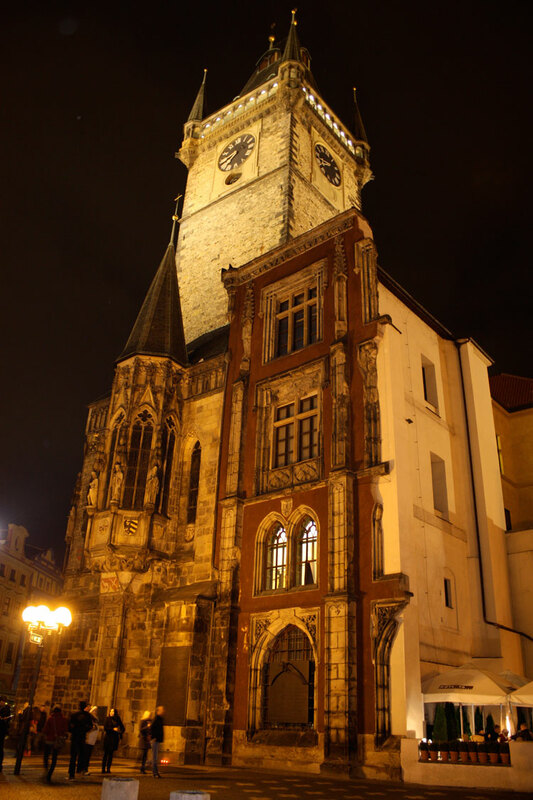 We spent all of our days touring the Prague castle by day and then visiting the historic center by night. We ate lots of goulash (delicious and hearty) and constantly had a Starbucks coffee or local favorite-mulled wine, in our hands because it was freezing! 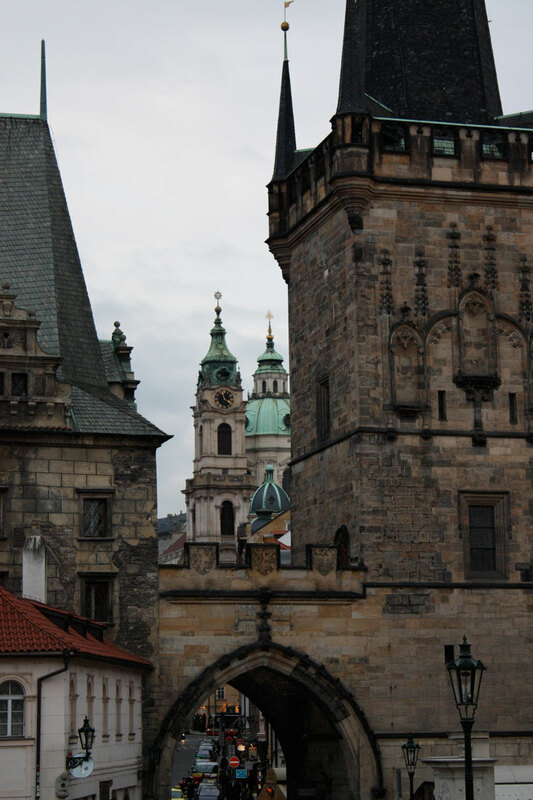 There were a few things I wish we took the time to do like visiting the Jewish Quarter, the Dancing House, and an underground night club which are famous in Prague. Otherwise four days there was plenty of time to see the sites that we wanted to see. 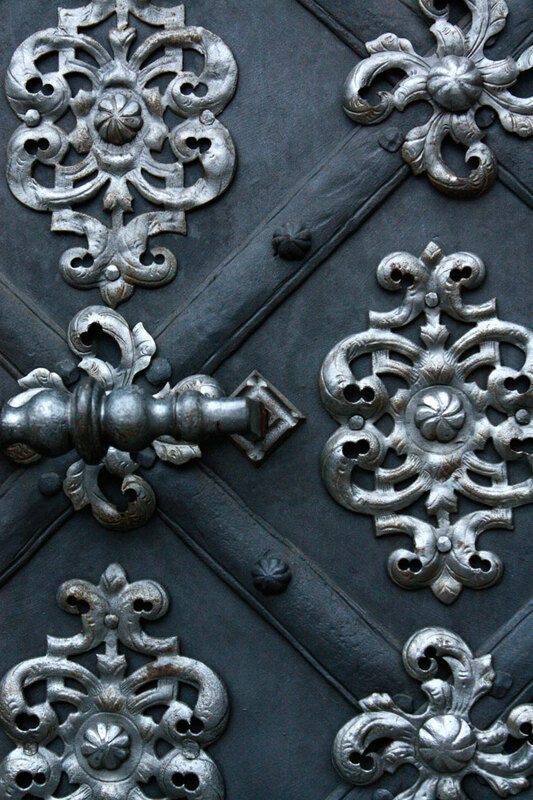 While there make sure to: Warm up with goulash, visit St. Nicholas Church at Lesser Town Square (the front door is amazing,) Walk across the Charles Bridge at night...and day. jxwalking. Simple theme. Powered by Blogger.